Henrik Samuelsson and Stefan Matteau have an awful lot in common. Both are big forwards, both are sons of former NHL players, both are dual citizens, and both have similar NHL projections and draft stock. Both also had somewhat wacky seasons this year, though for different reasons. Samuelsson’s year started in Sweden, while Matteau’s ended prematurely thanks to a highly controversial decision from the International Ice Hockey Federation. Both of those factors played a big role in both’s draft stock. 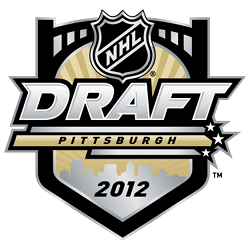 Each player remains intriguing and will have a lot of interest, but once sure-fire first rounders, both have seen their draft projections fluctuate wildly over the last few months. Coming up after the jump, a look at the wild ride both players took to the draft this year. Over the summer, however, the Pittsburgh-born Samuelsson left the NTDP to join his father Ulf in Sweden. Ulf Samuelsson, longtime NHLer, had been hired to be head coach by Swedish club Modo. It’s easy to understand a decision made for family purposes. Additionally, Henrik had the opportunity to play at a high level of professional hockey with Modo. At the time however, there were quite a few questioning the decision from a hockey development standpoint. It’s more common for a European player to come over to North American in hopes of raising draft stock and getting a little more NHL exposure. It’s rare to see it the other way around. It only took a few months to confirm the concerns of those who questioned the decision. Henrik wasn’t ready to play against men, despite his 6-2, 200 pound frame. As a result, Samuelsson’s draft stock went from projected first rounder to potentially out of the second round. Samuelsson posted just two assists in Elitserien play and nine points for the Modo U20 team. With his draft stock and development floundering at Modo, Samuelsson returned to North America, skating for the WHL’s Edmonton Oil Kings. It was a smart move to save the big forward’s sinking stock. With Edmonton, Samuelsson put up 23 points in 28 regular-season games, another 14 in the WHL playoffs and five points in four games at the Memorial Cup. That production along with Samuelsson’s continued nasty play have helped resurrect his draft hopes. Samuelsson isn’t the best skater and that’s something he’ll have to work on to have success, but his toughness and strength are huge assets. He also has really nice puck skills for a guy his size. I don’t think he’s a pure power-forward type of player, but he’s the type of guy who could have an outside shot at a top-six role at the next level. Henrik does have a lot of Ulf in him, in terms of playing on the edge of the rules. He was suspended four times in his relatively short WHL season. The year before, Samuelsson collected 98 PIM for the U.S. U17s in just 38 games, many of which were from minors and misconducts. Some teams are going to like his edge, but there’s a difference between edge and unhinged. His skillset forgives the sometimes dangerous play for the most part, but some teams might see it differently. There is just so much intrigue surrounding Samuelsson. He really could be a special player as his game continues to come together. Don’t expect him to be in the NHL terribly soon, but he’ll be an interesting prospect to follow over the next few years. 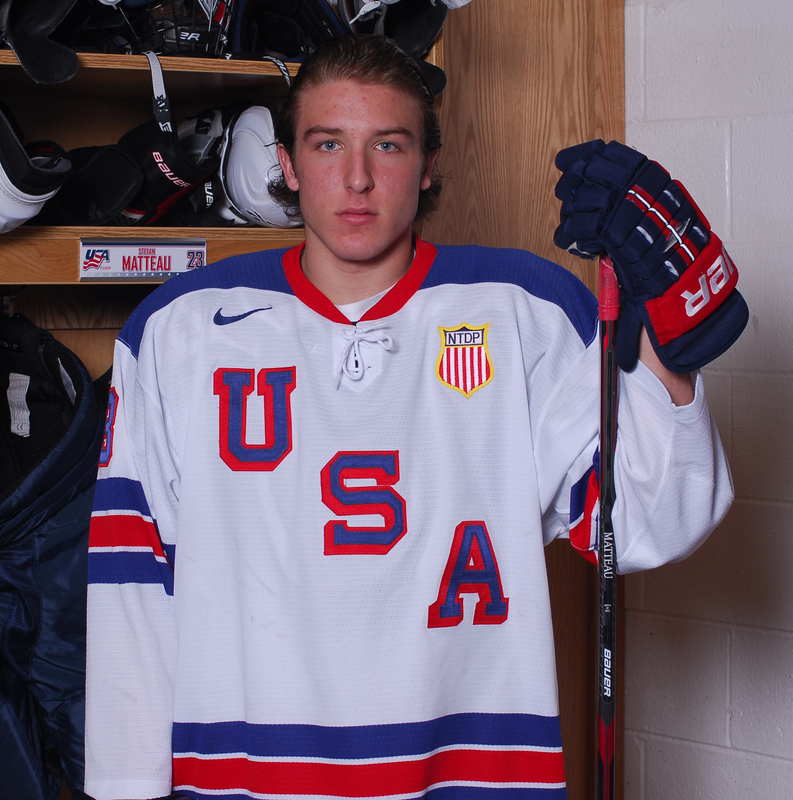 Stefan Matteau was a teammate of Samuelsson’s in that U17 season at the National Team Development Program and remained at the NTDP for his draft year. Matteau’s season was somewhat similar to Samuelsson’s in terms of trouble with referees. Like Samuelsson, Matteau plays right on the edge. He is physical and his size allows him to physically dominate games from time to time. Matteau had 166 PIM in 46 games in 2011-12. He was suspended multiple times by the USHL as well, losing a combined 15 games. Though Matteau can play over the edge some times, like Samuelsson, his skillset forgives a lot of it. You don’t want a player who is consistently taking poor penalties, but that is something that can be corrected over time. Matteau is a hearty 6-2, 210 and he knows how to use it. Though his production isn’t eye popping at 32 points in 46 games this year with the U18s, he looks like he could project as a top-six power forward down the line. While there was plenty of excitement on the ice for Matteau, there was quite a bit off it as well. It started earlier in the year when Matteau announced on Twitter that he would not be going to the University of North Dakota, as he had committed to, but would be playing for the Blainville-Boisbriand Armada of the QMJHL. Stefan’s father, Stephane (of Matteau! Matteau! Matteau! fame) is an assistant coach for the Armada, so the move wasn’t necessarily a surprise. The season got even wackier when the younger Matteau’s season came to an abrupt an unexpected halt thanks to the IIHF. The international governing body ruled that Matteau had not spent the last two years in the United States (24 months consecutively), despite the fact that he had spent the last two seasons with the NTDP. If it confuses you, it should. He was ruled ineligible to participate in the World Under-18 Championship, one of the most highly scouted events, if not the most, at the end of the year. It cost Matteau a shot at a gold medal, which Team USA won in dominating fashion, and it cost him valuable evaluation time, where he could have potentially solidified his case for the first round. The IIHF reversed its decision on Matteau’s eligibility, about two months too late, but he will at least be able to represent the U.S. if he chooses in the future. The IIHF decision was particularly disappointing after the tumultuous couple of years for the big forward. Matteau, who was born in Chicago while Stephane played for the Blackhawks, spent much of his life in the U.S., but the family moved back to Quebec upon Stephane’s retirement. Having spent ages 11-15 in Canada, playing youth hockey in Quebec and then spending time at Saskatchewan’s vaunted Notre Dame Academy, Matteau had a choice as a dual citizen. When he chose the U.S. and a chance to play at the NTDP at age 16, it was quite controversial in Quebec. Stephane came under quite a bit of scrutiny after “allowing” his son to represent the U.S. (the country of Stefan’s birth) instead of Canada, to the point where there was discussion of sanctions against the aspiring coach (overreact much?). The craziness is far from over, unfortunately. When the U.S. roster for the Junior Evaluation Camp comes out Monday afternoon, expect Matteau’s name to be on it. That said, the younger Matteau is going to have a choice. Because he was unable to represent the U.S. in the U18s, he is still eligible to represent either country in which he is a citizen in IIHF competition. Dallas Stars first-rounder Jamie Oleksiak was confronted with the same decision last year for the World Junior Championship and chose Canada. With Matteau having spent the last two years at the NTDP and having close friendships with many of the players, you have to wonder what he’ll decide. None of that will matter this week, however. Matteau and Samuelsson are focused on one thing for the next few days and that is the NHL Draft. Both will hope to hear their names called later on Friday night, but even if they’re not, it won’t be long before they’re called on Saturday. Both players have excellent hockey bloodlines, really great skills and loads of potential, which makes both incredibly intriguing prospects to watch this weekend in Pittsburgh. This entry was posted in American Prospects, Junior Hockey, NHL, NHL Draft, NTDP, U.S. National Teams, World Junior Championship. Bookmark the permalink. I think Matteau plays for USA due to the bond he has with the US players. If not, its from the pressure at home and Canada hockey.